Critical equipment is not being fixed and air traffic controllers are making mistakes because they're thinking about not getting paid, a union president warns. Three unions representing pilots, flight attendants and air traffic controllers are urging President Trump and Congress to end the month-long government shutdown, citing safety and security risks to their members and the public. They warn that some air traffic controllers who are not getting paid could choose to retire, which they say would cripple American air travel. "In our risk-averse industry, we cannot even calculate the level of risk currently at play, nor predict the point at which the entire system will break. It is unprecedented," the presidents of the National Air Traffic Controllers Association, Air Line Pilots Association and the Association of Flight Attendants said in a joint statement Wednesday. The unions say some airports are so understaffed that air traffic controllers have to work 60-hour weeks while not getting paid. In addition, the FAA has frozen hiring and training during the shutdown, according to the unions, so there is no help coming. While many of the current controllers have to keep working, the unions said 20 percent of them are eligible for retirement now, leaving them little reason to work for free. "When they elect to retire, the National Airspace System will be crippled," the unions said. 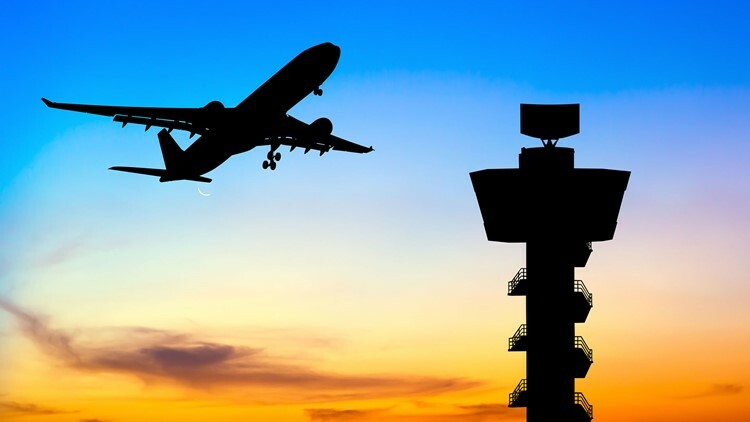 In an interview with CNN Wednesday night, National Air Traffic Controllers Association President Paul Rinaldi made it clear there will be a breaking point. "It can't go on for months," he said. Rinaldi said he's seeing people make routine mistakes at work because their financial woes are on their minds. "These conversations are happening in the work environment because the stress is getting very high," Rinaldi said. In a statement to USA TODAY, the FAA said air travel is still safe and running smoothly. "We have not observed any appreciable difference in performance over the last several weeks compared to the same periods during the previous two years. We remain grateful to the air traffic controllers for their professional (sic) and dedication to their safety mission," an FAA spokesperson said. Rinaldi disputed that, citing breakdowns of equipment that he said has not been repaired. "Equipment that we're relying on to make sure that airplanes line up on the right surface they're supposed to land on as opposed to a taxiway or a different runway that's occupied by an airplane," Rinaldi said, adding that radars have gone down, preventing pilots from knowing when dangerous weather is ahead. The unions also note that security checkpoints are being understaffed and closed as Transportation Safety Administration workers call in sick. The TSA said 10 percent of employees (about 3,000 screeners) did not report to work last Sunday, up from 3.1 percent on a comparable Sunday a year ago.